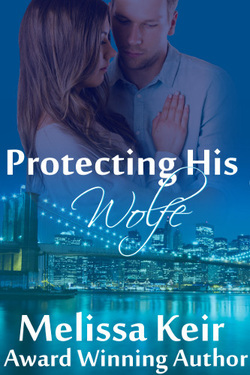 Protecting His Wolfe is now Available for only $1.99!! What happens when danger comes after you? Late one October evening, after most of the staff had left, Betsie chose to get the last of the filing done before heading out, hoping to earn some bonus points from Miss Hildebrand, the imperious clerical supervisor at Anderson. After all, nobody waited at home for her. She kicked off her shoes and wiggled her toes, glad to be free of the fashionable toe-pinchers after a long day. Grabbing the stack of papers, she walked over to the tall filing cabinet. She sniffed and sneezed. “Julie must have worn the whole bottle of Chanel this morning.” Her co-worker’s “more is better” perfume policy made their close quarters trying at times. Juggling the folders in one arm, she pushed the window open for fresh air then sat on the floor to sort the files. Perhaps Mrs. Hildebrand, the old dragon who ran the secretarial pool, would appreciate her efficiency and lay off her for once. Few, if any, other staff members remained so late in the day. Only the soft hum of the fluorescent lights broke the quiet, and she was able to work quickly without all the interruptions of the business day. As she finished alphabetizing A-L, harsh voices echoed from outside, startling her. Who could that be? She crept closer to the window, but found it too high to see the people below. Perhaps she shouldn’t have stayed alone at night, no matter how it might benefit her career. “Do you have the stuff?” The voice sounded familiar. She scrunched her eyes, trying to envision the person behind the sound. She held her breath and crouched behind the file cabinet, afraid to make a sound. Is that Mr. Anderson? Why is my boss talking about drugs? “That’s not the way to do business. We agreed on a fee. I did the loading and driving. I had all the risk.” The rough voice took on a menacing tone with a rasp that sounded like he—and it was clearly a man— had smoked three packs of cigarettes a day for twenty years. Betsie’s heart raced. She’d never known anyone who’d been involved in dirty business, and now she was working for one. I wish I hadn’t worked late. Her leg hurt from her cramped posture, and she rubbed her calf to try to ease the pain. Closing her eyes, she retraced in her mind the office layout and an escape route. Just in case.